Expand your creative possibilities and streamline your design work with the new PE-DESIGN® 10 Embroidery Design Software. 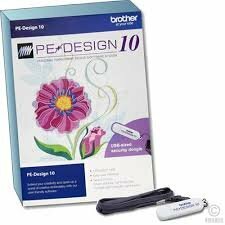 PE-DESIGN® 10 truly is the "Perfect 10" of embroidery software, with new and enhanced features for everyone - from the hobbyist to the home business entrepreneur. Top 10 Reasons PE-Design® 10 is the "Perfect 10!"